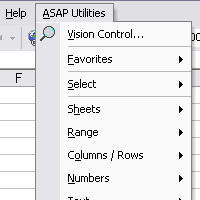 ASAP Utilities is a superstructure for Microsoft Excel tables, intended to facilitate work with program and routine automation, frequently repeated actions. ASAP Utilities is capable to carry out more than 300 functions. For utility good work is necessary the packet MS Excel 2000/2002/XP/2003/2007. 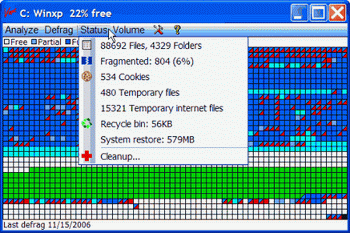 To download ASAP Utilities v.4.5.0 click the following link (10,9 mb., Freeware, Windows all). 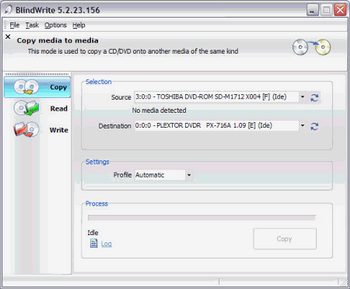 To download CopyToDVD v.4.2.2.19 click the following link: (13,2 Mb, Shareware, Windows All). Released an updated version of Blindwrite Suite v.6.x, to create and copy virtually any CD ROM, including secure. The package consists of two modules - BlindRead and BlindWrite, are responsible for reading and writing, respectively. The program supports a large number of IDE, SCSI, USB, USB 2.0 and 1394 writing drives, and through the use of driver Patin-Couffin provides the PNP and hot connect/disconnect devices. To download BlindWrite Suite v.6.2.0.8 click the following link: (6,8 Mb, Shareware, Windows All). 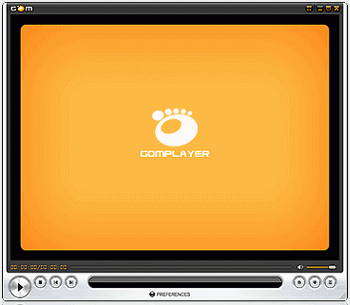 GOM Player is a free media that can play almost all popular video formats (AVI, DAT, MPEG, DivX and others) through their own codecs, which allows to facilitate to find the oppropriate decoding file. GOM is also able to play incomplete or damaged AVI files. The program can work with streaming video formats ASF/OGG/MP3/AAC/MPEG PS / MPEG TS. Among other advantages, player is allow to change skin, with subtitles support for Unicode and many other options and opportunities. Released a new update for network storage IAMM. 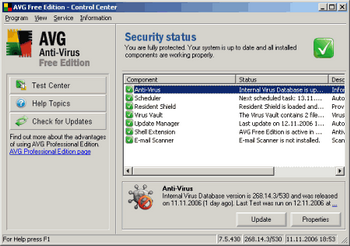 Updated AVG Free Edition, the free and very good antivirus, which ensures reliable protection from viruses, Trojans also of other dangerous programs, possesses a multitude of configuration options, which allow to optimize program under your necessary to need, and also data base of viruses is updatable daily through the Internet. To download AVG Free Edition v.8.5.287 Build 1483 click the following link: (60,8 Mb., Freeware, Windows all). Vopt is a defragmenter for operating systems, Windows NT/2000/XP/2003, with several operation modes: fast, secure (the conservation of important data before you defragmenter), simple and professional (with the test system and deleting unnecessary files). To download Vopt v.9.12 click the following link: (3,5 Mb, Shareware, Windows All). 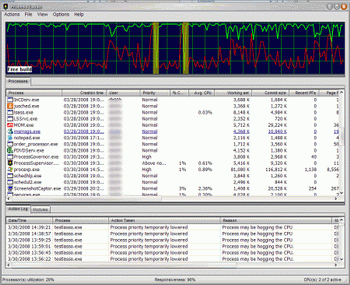 Updated Process Lasso, a small utility for Windows NT/2000/XP/2003 32/64-bits operating systems, which allow manually or automatically manipulate processes, loaded on your computer to obtain maximum speed and stability. There is a possibility to kill processes, which completely load processor, to create lists of those permitted and forbidden processes, all processes activities are logged. In Pro- version, there is no limitation to a supported processes quantity (in free version only three). In the new version, a large quantity of corrections and modifications was made.